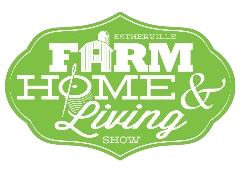 The Annual Estherville Farm, Home and Living Show is hosted on the first Friday evening and Saturday morning in March at the Regional Wellness Center . With over 50 vendors and 1,000 attendees this is a great way to show off products and services in available in Estherville! The Defiance Trail Run is typically held on the first Saturday of May! This 5k through the trails of Fort Defiance State Park include man-made and natural obstacles that will make it fun for everyone! Sweet Corn Days is a 20 year tradition in Estherville! This 4 day event includes entertainment, food vendors, a vendor fair, huge parade, inflatables, free sweet corn, car show, water fights, tournaments, concert, fireworks and so much more! 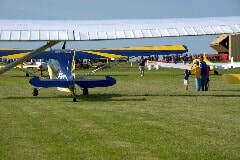 Join us in Estherville for the biggest event of the year! 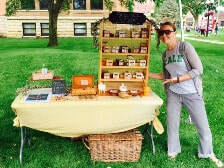 The Estherville Downtown Market is a great place to purchase homemade craft items, baked goods, fresh produce and more! The Market Runs Thursday evenings from 4:30pm to 6:30pm June 1st through September 28th and Saturday Mornings from 9am to noon July 1st through October 14th in Library Square! Fright Hike is held annually the Saturday prior to Halloween in Fort Defiance State Park. 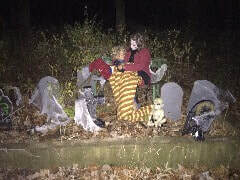 This haunted hike through the woods is fun for all ages! $5 per person to take this scary jaunt. A very unique haunted experience that can't be found anywhere else in NW Iowa! The Chocolate Walk and Parade of Lights kicks off the Holiday Season in Estherville every year the Thursday before Thanksgiving! The evening is fun and magical and great for the whole family! The Thursday after Thanksgiving every year is a magically evening in Estherville! Sleigh bells, carolers and tubas fill the air. Horse drawn wagon rides around the Square are fun for everyone while the kids especially enjoy the first visit to Santa at Santa's House. 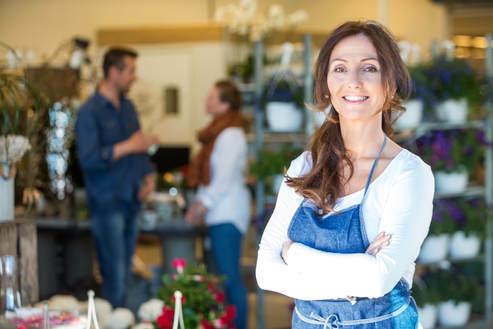 Every other month on the 3rd Tuesday of the month, a member business (or combination of members) volunteers to host Business After 5. This is a fun and casual networking event. A great place to show off your business and catch up with what's going on with your peers and with the Chamber of Commerce! Check out Shopping Promotions such as the April Shop Hop, Summer Crazy Days, January Stir Crazy Days, Small Business Saturday, Chocolate Walk and more for great shopping deals and specials! Estherville has many stores and retail establishments to guarantee a wonderful shopping experience!